Your home should be a safe place. Safety is a key component to rest and relaxation. We believe that with the proper planning, the last thing you should worry about is the safety of you and your own home. Our security products and services are designed to give you the layers of protection you need. As a nationwide retailer and installer of residential security products, your safety is our top priority. Tri-State Life Safety is an expert in residential security and fire alarm systems. Using a number of different features, our home security systems are designed to fit your needs. 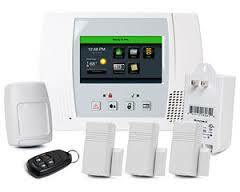 These features transform our home and residential systems into more then just a regular burglar alarm. Our home security systems are designed for complete home protection and care. Giving you the feeling of total safety, home or away. Our state-of-the-art home security systems are manufactured from the highest quality components, and can be customized to fit your needs. Residential security systems help reduce the amount of risks, your family may face, due to: medical emergencies, accidents or external threats. Tri-State Life Safety uses our professional experience to consult and design the best custom home security system for you or your family. Our residential security systems are designed to adapt to your lifestyle, while exceeding the expectations. Our residential & Home security systems and services supply you with the sense of safety that you and your family deserves.